This year is starting out a little too much like last year. SICK. In bed drinking hot chocolate with lotsa marshmallows, which was preceded by a delicious and nutritious lunch. 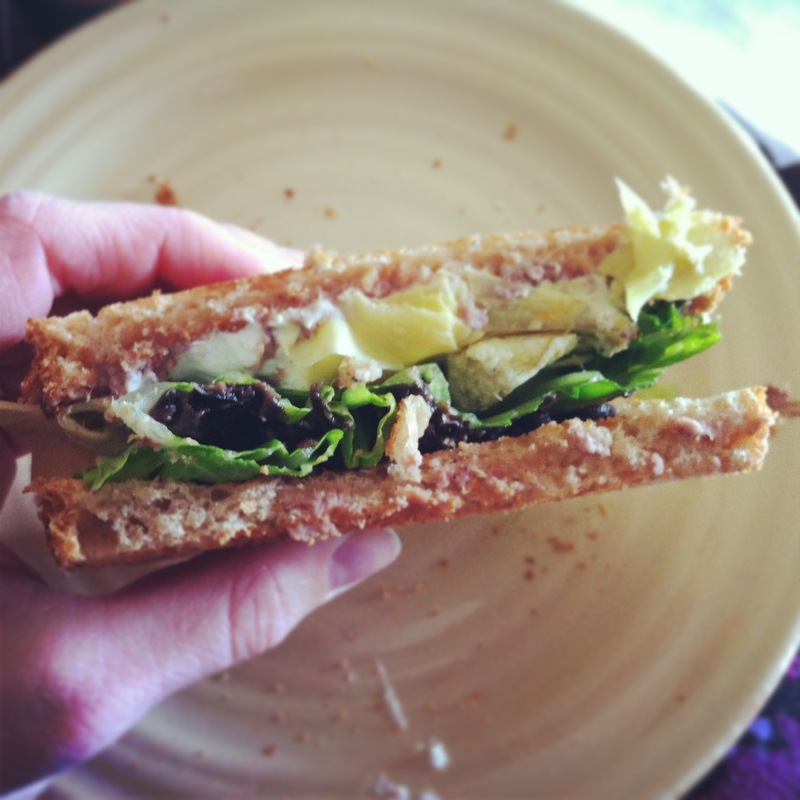 hummus, goat cheese, artichokes, black olives, and romaine on toasted bread. I hope I remember to make this again. Happy New Year! It’s gonna be a big one. This entry was posted in food and tagged artichokes, hummus, Lunch, olives, sick. Bookmark the permalink.